Simply slip a ModemSafe over your wi-fi router or modem to dramatically and instantaneously reduce your radiation exposure. 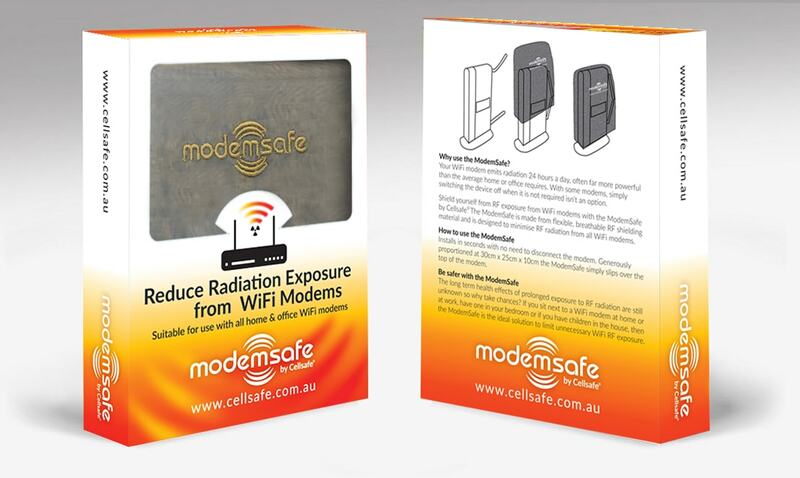 ModemSafe is made from flexible, breathable RF shielding material and is generously proportioned to allow it to be used with a modems or all shapes and sizes. This product will result in a weaker signal and therefore it will affect the range of your wi-fi signal, however you can adjust the positioning of the bag when your wi-fi is in use by folding it up a little, and cover it back up when not in use to ensure the EMF is contained. A great option for those of us with modems that can not be switched off! How do I use the ModemSafe? Simply cover your Wi-Fi modem or router with the bag. There is no need to turn off or disconnect your modem for installation. Roll up or down to control wi-fi signal strength/range. You might also be interesting in viewing the video on the video tab which explains how to use the ModemSafe. The ModemSafe comes in a Metallic Grey colour only.